Your gift to the Darin Bodermann Memorial Fund with the Elma Area Community Foundation allows us to continually respond to the current and unique needs of the community of Elma. By making this gift, you give us flexibility to fund charitable programs and projects in the community to explore the arts and celebrate diversity, support healthy lifestyles, protect natural resources, educate future generations, preserve the past, build hope for tomorrow, ensure a safe place to live, and improve the quality of life for all. Your gift to the Elma Early Childhood Center Fund with the Elma Area Community Foundation will benefit the charitable activities of the Elma Early Childhood Center. Your gift to the Elma Fire and Rescue Fund with the Elma Area Community Foundation will benefit the charitable activities of the Firefighters of Elma Inc. Your gift to the Elm Go Fund with the Elma Area Community Foundation allows us to continually respond to the current and unique needs of the community of Elma. By making this gift, you give us flexibility to fund charitable programs and projects in the community to explore the arts and celebrate diversity, support healthy lifestyles, protect natural resources, educate future generations, preserve the past, build hope for tomorrow, ensure a safe place to live, and improve the quality of life for all. Your gift to the Elma Depot Museum Endowment Fund with the Elma Area Community Foundation will benefit the charitable activities of the Elma Depot Museum. Your gift to the Elma Public Library Fund with the Elma Area Community Foundation will help provide support to the Elma Public Library's charitable activities. Your gift to the Elma Trails Fund with the Elma Area Community Foundation will support the Elma Trails in upkeep and additions of trail heads, visitors center, benches, water fountains, landscaping, and signage.  Your gift to the Elma Area Community Impact Fund with the Elma Area Community Foundation allows us to continually respond to the current and unique needs of the community of Elma. By making this gift, you give us flexibility to fund charitable programs and projects in the community to explore the arts and celebrate diversity, support healthy lifestyles, protect natural resources, educate future generations, preserve the past, build hope for tomorrow, ensure a safe place to live, and improve the quality of life for all. Your gift to the PSB Endowment Fund with the Elma Area Community Foundation allows us to continually respond to the current and unique needs of the community of Elma. By making this gift, you give us flexibility to fund charitable programs and projects in the community to explore the arts and celebrate diversity, support healthy lifestyles, protect natural resources, educate future generations, preserve the past, build hope for tomorrow, ensure a safe place to live, and improve the quality of life for all.